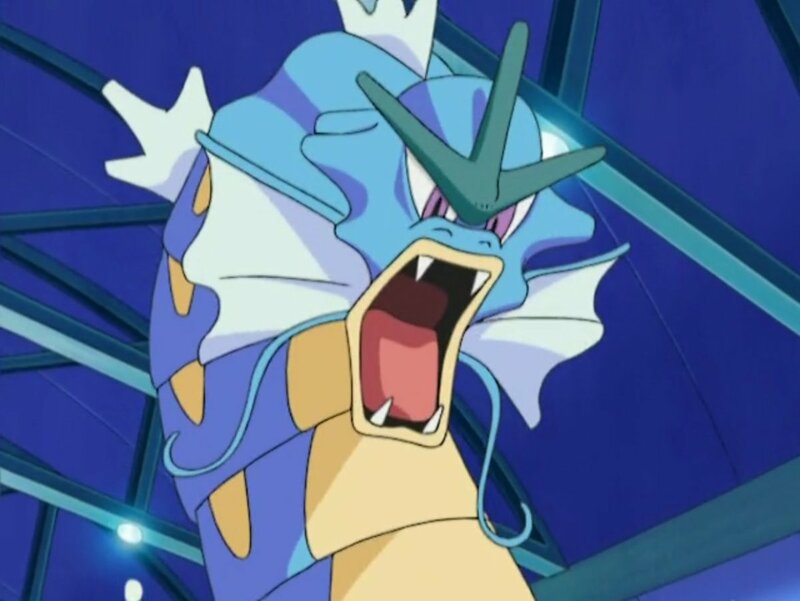 Despite how seemingly weak and useless its pre-evolution form is, Gyarados is one of the most powerful Pokémon in the world. 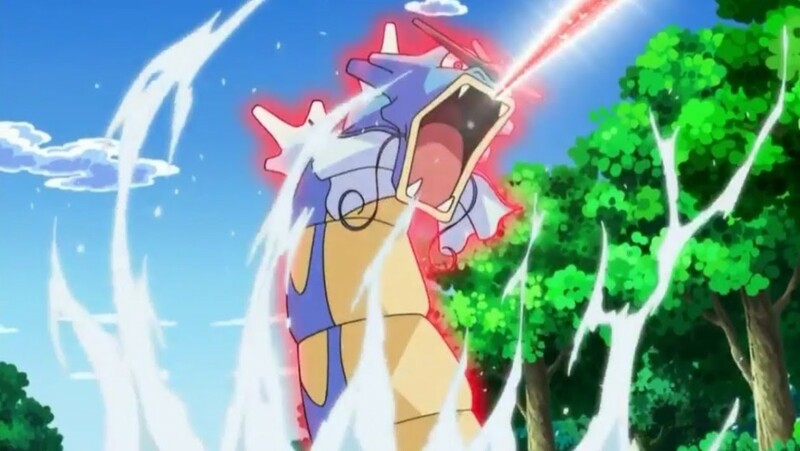 Magikarp may only be just as strong as a splash of water, but Gyarados is as powerful as a surging tidal wave! 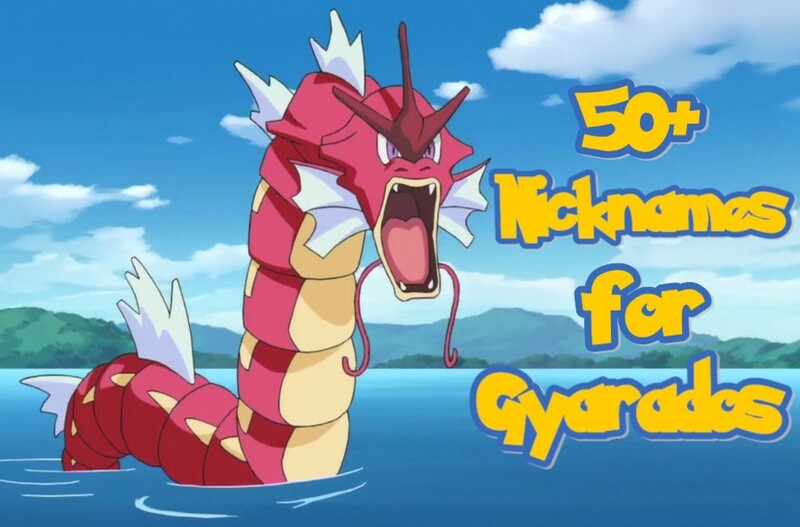 Having said that, Gyarados is quite a popular pick among Pokémon trainers. 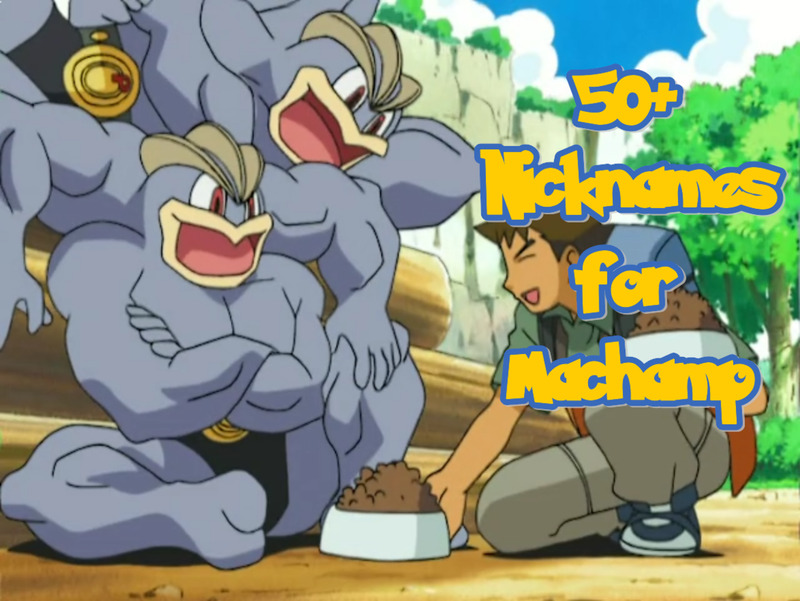 All of the nicknames present here are mere ideas. You could either use them straightforwardly, or build on them and create your own. Everything’s up for you to decide! 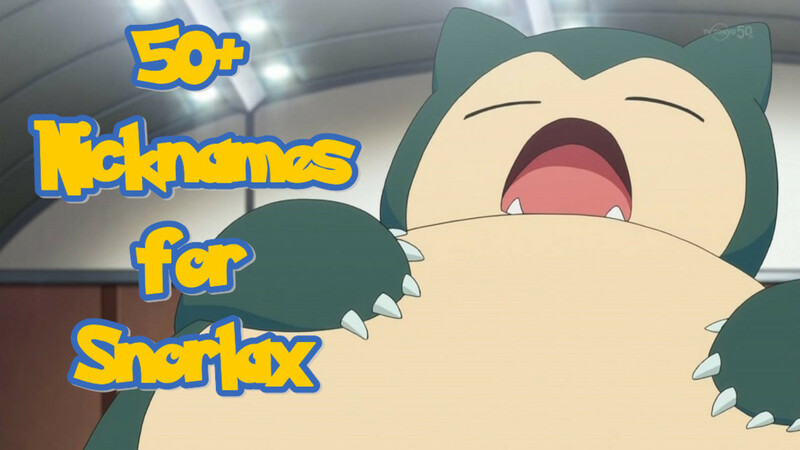 By the way, if you know some other timely nicknames for Gyarados, feel free to share them in the comments. Thank you! Ebb – A word that describes the movement of a tide as it flows back to the sea. Maelstrom – A whirlpool or vortex in a body of water. It could also mean turbulence, turmoil, or uproar. Riptide – A strong current of water that flows outward from the beach. Shipwreck – The destruction of a ship at sea by sinking or breaking up. Storm Surge – The rising of the sea waves due to a storm or typhoon. Tempest – A violent storm. Tethys – The ancient body of water that separated the super-continents, Laurasia and Gondwana. Tsunami – The rising of the sea waves due to seismic activity. Typhoon – A hurricane that happens in the northwest Pacific region. Whirlpool – A vortex of water that is rapidly spinning or rotating. Umi – This is the word of ‘sea’ or ‘ocean’ in Japanese. Esdeath – She is a villainous character in Akame ga Kill! With the help of her Demon’s Extract Teigu, she can manipulate ice and mold it into whatever she desires. She’s a true terror in the battlefield, and knows nothing of empathy. Jinbei – He is a supporting character in One Piece. Jinbei is a fish-man who was once a member of the Shichibukai and now an ally of Monkey D. Luffy. He is a master of fishman karate and a fearsome practitioner of Haki. Katara – She is a main character in “Avatar: The Last Airbender.” Katara is a waterbender born in the Southern Water Tribe. She accompanies Aang to save the world from the atrocities of the Fire Nation. Veldora – He is a character in Tensei shitara Slime Datta Ken (That Time I Got Reincarnated as a Slime). Veldura is the storm dragon who gave Rimuru his name. In return, Rimuru gave him a last name. Zabuza – He is a character in Naruto. Zabuza is an exceptional ninja who is well-known as the Demon of the Hidden Mist. He is also a missing-nin and a member of the Seven Ninja Swordsmen of the Mist. Azhdahak – Armenian. A man-dragon that is said to live in the high mountains, the big lakes, the sky, and the clouds. It has the power to devour the whole world. Bahamut – Arabic. A sea behemoth that supports the structure that holds up the Earth under the ocean. Bakunawa – Filipino. A serpent-like dragon that has power to cause eclipses, earthquakes, heavy rains, and strong winds. Bolla – Albanian. A A serpentic dragon with a long, slender body and small wings. It is believed that the Bolla only wakes up once a year only to devour a human and then goes back to sleep. Cetus – Greek. It’s a creature that can either be a humongous fish, a whale, a shark, or a sea monster. In stories, the Cetus are often depicted fighting Perseus or as mounts to the sea nymphs known as the Nereid. Charybdis – Greek. A gigantic sea monster that was rationalized by many seafarers as a larger-than-life whirlpool. Charybdis is the daughter of Poseidon and Gaia. Cuelebre – Asturian. A colossal winged serpent-dragon that usually lives in caves to guard unimaginable treasures. They are immortal and only move when it’s to time to eat cattle or humans. Daedalus – Greek. Daedaus is a craftsman and artist who is well-known for constructing the Labyrinth. He fathers two sons, Icarus and Iapyx. Once, he created two pairs of wings and glued them together with wax so that he can fly and escape from the prison tower together with his son, Icarus. Unfortunately, the attempted escape resulted in the death of Icarus. Dreq – Albanian. A dragon that was demonized by Christianity. It is now regarded as the name of the devil. Gyo – Korean. A mountain dragon that has the power to control water and the weather. Hydra – Roman. A serpentine water dragon that possesses many heads. It is capable of regenerating any of its chopped heads and can spew deadly poison. Kulshedra – Albanian. A serpentic female dragon that evolves from the Bolla after living many years without being seen by humans. Jormungandr – Nordic. A gigantic monsters who’s also known as the ‘Midgard (World) Serpent.’ Since Jormungandr is a being similar to the Ouroboros, it is said that once it releases it’s tail from its mouth, Ragnarok—the end of the world—will begin. Leviathan – Hebraic. A gigantic sea monsters that represents the forces of chaos and order. Loch Ness – Scottish Gaelic. Loch Ness is a large, deep, freshwater lake in the Scottish Highlands. It is renowned throughout the world as the place where the sea monster, Nessie—also known as the Loch Ness Monster—mysteriously appears. Nevertheless, all reported sightings of Nessie so far are mere allegations. Naga – Hindu. A half-human and half-serpent being that is said to live in the netherworld. A naga is powerful and strong. It is believed that they frequent large bodies of water and guard the treasures that lie within. Neptune – Roman. The god of the freshwater and the sea. Neptune is also regarded by the Romans as the god of horses. Nessie – Scottish Gaelic. A mysterious water creature that is said to be humongous in size with a long neck protruding from the water. Many have allegedly sighted this creature in Loch Ness in the Scottish Highlands, but none have proven their claims of its existence. Ouroboros – Egyptian. An ancient symbol illustrating a dragon or serpent that is eating its own tail. 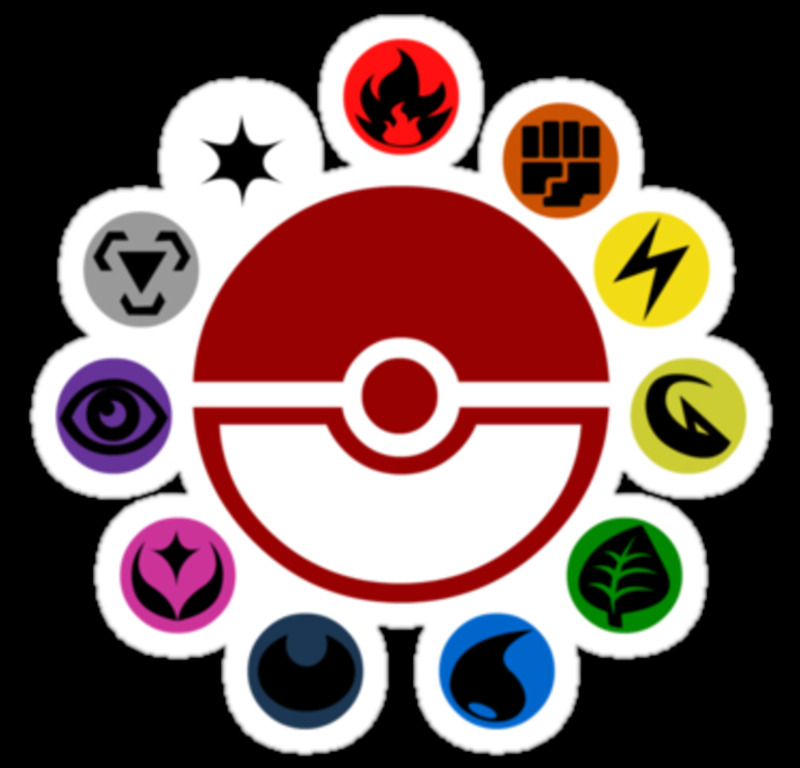 It represents eternity, as well as the cycle of life and death. Poseidon – Greek. The god of the sea and water. Poseidon is also regarded by the Greeks as the god of earthquakes and horses. Proteus – Greek. The early god of rivers and oceanic bodies of water. He is the son of Poseidon. Python – Greek. A serpent that lives in the center of the earth. Python is the subterranean enemy of the Olympian god, Apollo. Ryujin – Japanese. A dragon god who is the deity of the sea. It has absolute dominion over the powers of the ocean, as well as its inhabitants. Scylla – Greek. A dragon-like sea monster who lives on the narrow strait of the sea, opposite of Charybdis. It is said that Scylla used to be a beautiful nymph who was transmogrified into a monster. Seiryuu – Japanese. This is what the Japanese call the blue-green dragon god from China. It has the power to control water and the weather. Taniwha – Polynesian. A serpent/dragon-like creature that usually resides in rivers, caves, or the sea. Depending on the locality or culture, the Taniwha can be regarded as either a guardian deity or a notorious monster. Tiamat – Greek. A primordial goddess of the salt sea. She is also the monstrous embodiment of primordial chaos. 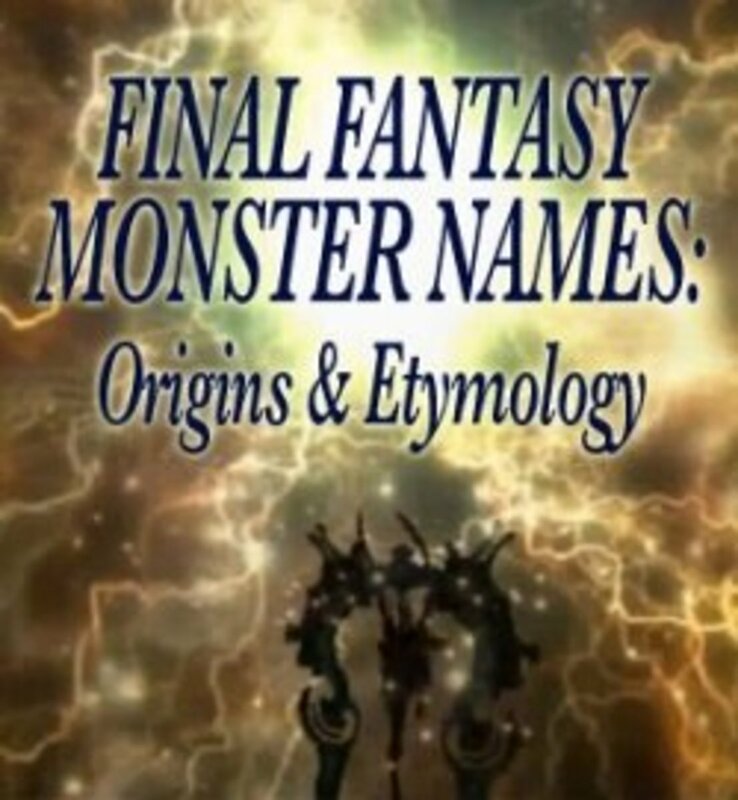 Tiamat is said to be a sea serpent or dragon as well. Vishap – Armenian. A winged dragon that is associated with water. This creature is said to live in Mount Ararat. Wyvern – Welsh. A dragon with a reptilian body, two legs, and a peculiar tail. It’s general form is very similar to that of a winged snake. Yacumama – South American. A sea monster of considerable length that resides at the mouth of the Amazon River. Yacumama is a being that is regarded as the mother of all creatures of the water. Zomok – Hungarian. A gigiantic winged snake that serves as the flying mount of the magician knownas garaboncias. This beast is possesses dominion over the storms and the bad weather. 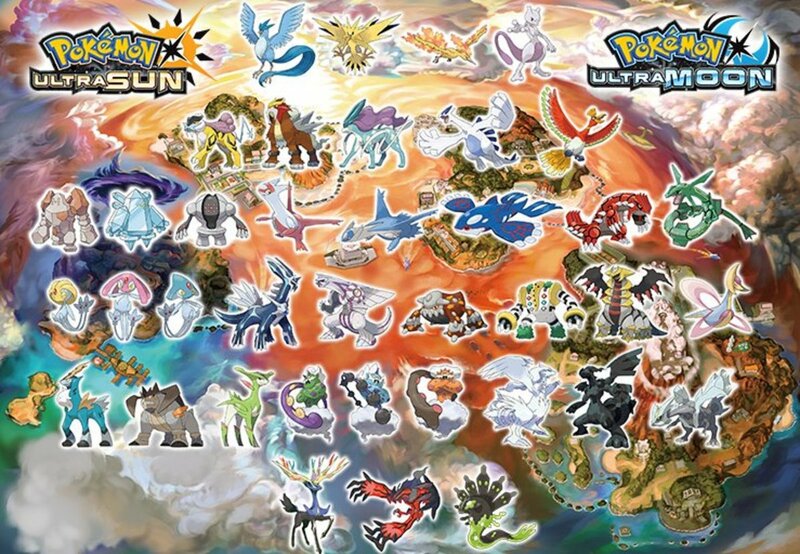 Poseidon or some other god name is awesome for Gyarados. It definitely deserves it as master of the sea. I've always loved Gyarados' shape and how it looks a little like a Chinese dragon. 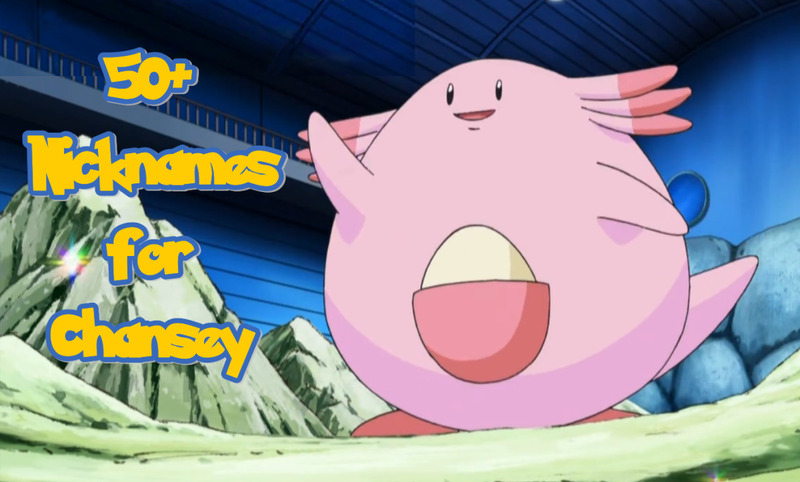 Definitely still one of the most epic Pokemon to date.